Many people believe beekeeping requires little time or effort. They are an insect, right? But, like caring for any animal or pet, beekeeping requires timely management. Remember, honey bees are like any other domesticated animal or pet; they need to be managed properly, fed when starving, regularly inspection for any issues or challenges, treated for pests and diseases, and cared for in a timely fashion. When honey bee colonies need something, the beekeeper must provide it immediately. I mean, would you let your dog starve for 2 days before providing food? Or allow your pet to live with virus transmitting pests for weeks on end? I think not. So when managing honey bees, never procrastinate. Unlike caring for other domesticated pets, most new beekeepers begin with zero knowledge about insects, let alone honey bees. Most people grow up with friends and family that have pets so they learn skill or tidbits about caring for common pets. However, beekeeper is a bit more esoteric. Because of this, finding a mentor or beekeeping club is a must when you want to begin beekeeping. New beekeepers will have questions about their colonies, such as how to properly manage their colonies during certain months, when to perform tasks, explanations about certain phenomenon they observe, and unbiased viewpoints about their colonies. Do not feel ashamed to ask questions because your colonies suffer if un-answered. Mentors are easy to find online, which include people like me, and most areas have beekeeping clubs or classes. So find a mentor and beekeeping club to answer your pressing questions! Honey bee colonies should be inspected every 2 weeks, which is generally a rule of thumb for beginner beekeepers. More experienced beekeepers can get by inspecting less, but these beekeepers understand honey bees better and what specific tasks need to be done. I say 2 weeks because I mentor new beekeepers that either inspect their colony too much or not enough. If beekeepers do not inspect enough, they may miss signs of starving, disease, pests, swarming, and any other odd sign. However, if beekeepers inspect too often, the colony may fail due to the constant stress from opening colonies and removing brood frames. Most beekeepers I mentor inspect colonies to often because they are eager, excited and/or worried about their colonies, which ironically, adds more stress to the colony. Beekeepers that inspect every 2 weeks are able to detect signs, and manage accordingly without any added stress. Reduce colony stress and always use a smoker! When opening a colony, remember to treat colonies as if they were your pets. Do not open colonies when it is raining or freezing; Do not handle colonies with rough, quick movements; Do not open colonies much more than every 5 times in 2 days; and always use a smoker to calm and settle down the colony. These may seem like basic tips, but they often make the biggest difference. 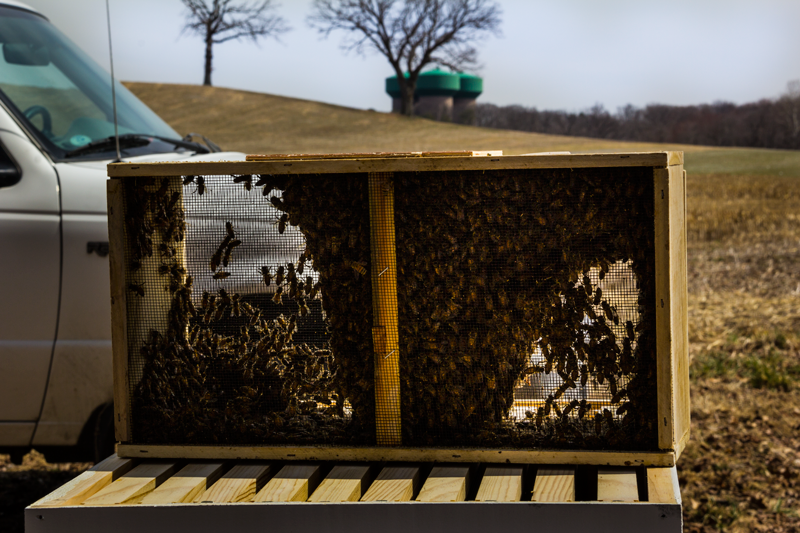 Spring is often the busiest time for beekeepers. Colonies are rapidly growing during a time with limited forage, so beekeepers must provide bees with sugar and protein supplements until plants start blossoming, provide space or split colonies in half before they swarm away, and treat colonies for pests and diseases before the consistent honey flow. These tasks are time consuming, but necessary during the spring. Honey bee colonies require less management during the summer, other than providing space for honey. 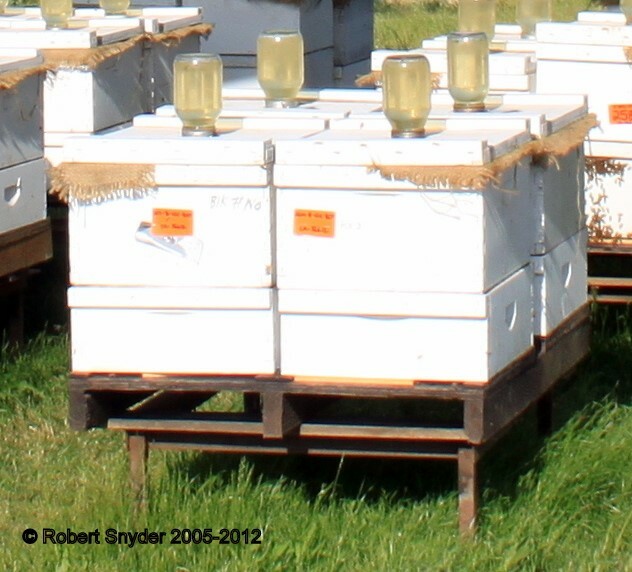 By the time the summer honey flow occurs, the colonies should be treated, fed, and provided space to thrive. If not, then the colonies are at risk. Honey bees are producing honey during the summer months, thus the only management colonies need is additional boxes to place their honey. 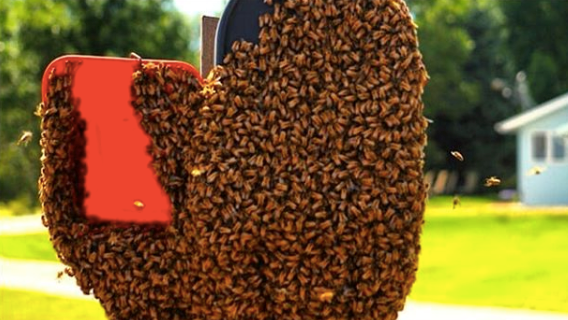 If additional boxes are not provided, the colony will likely swarm. Provide honey bee colonies with space! Fall is another busy time for beekeepers, because they must extract honey, treat colonies, and possibly supplement with more sugar. In reality, fall is preparing colonies for the rough and long Minnesota winter. 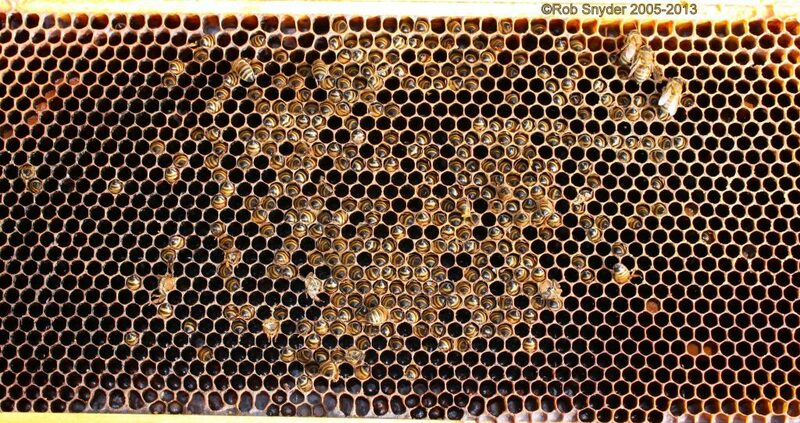 In the northern climates, colonies must be inspected very periodically and frames with honey must be moved around to support the colony. This was a summary of how beekeeper manage colonies throughout the year in the state of Minnesota; however, each state/region differs. 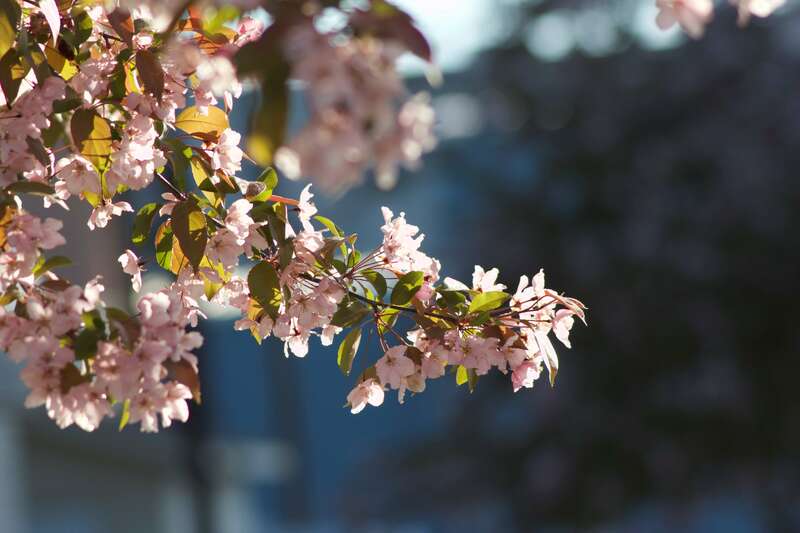 Before getting your bees, ask local beekeepers about the spring, summer, fall, and winter seasons in your area. Local beekeepers can give general tips, such as when to feed, treat, provide space, and when local honey flows begin. It is important to understand the general outline of honey bee management in your area. Young eggs and larvae. This colony has a healthy and successful queen. 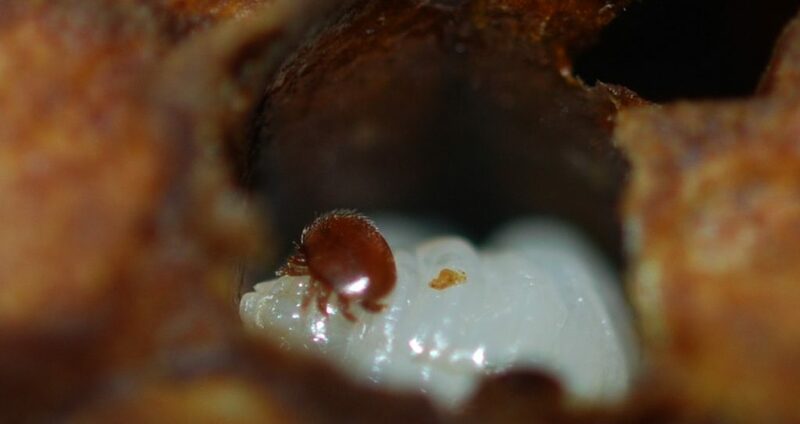 Varroa mites are the leading cause of colony death for beekeepers of all sizes. Varroa mites are small, tick like insects that transmit harmful viruses. I have a blog post outline the devastating damage from varroa mites here. 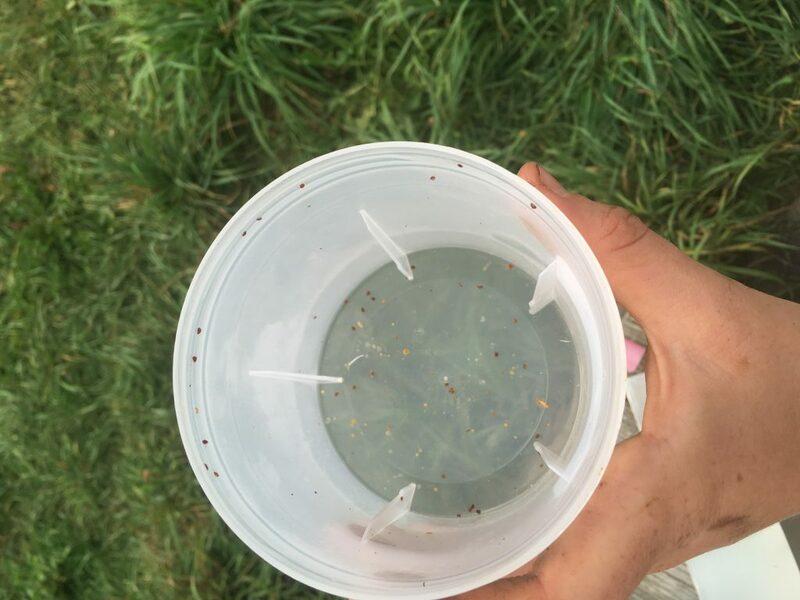 I will not go into too much detail, but monitor mite levels at least 4 times a year and treat accordingly. If levels are too high, then colonies are likely to fail. 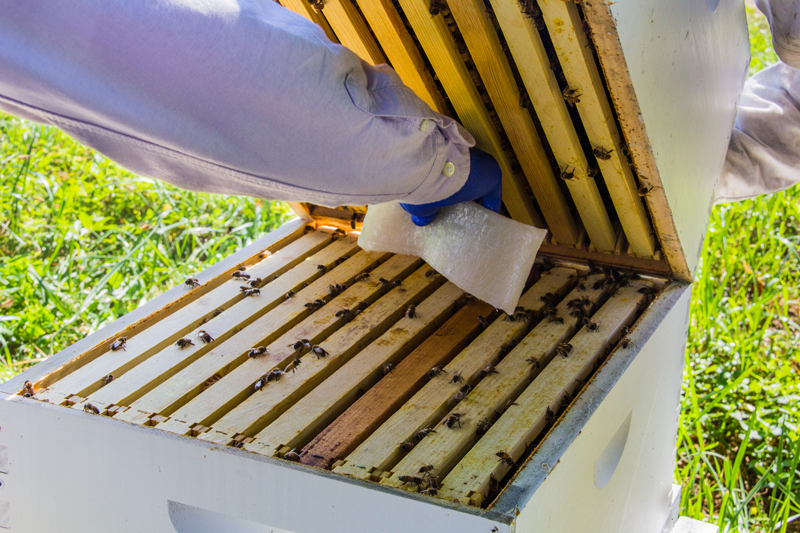 Beekeepers can either purchase packaged bees from distributors or nucs from local beekeepers. 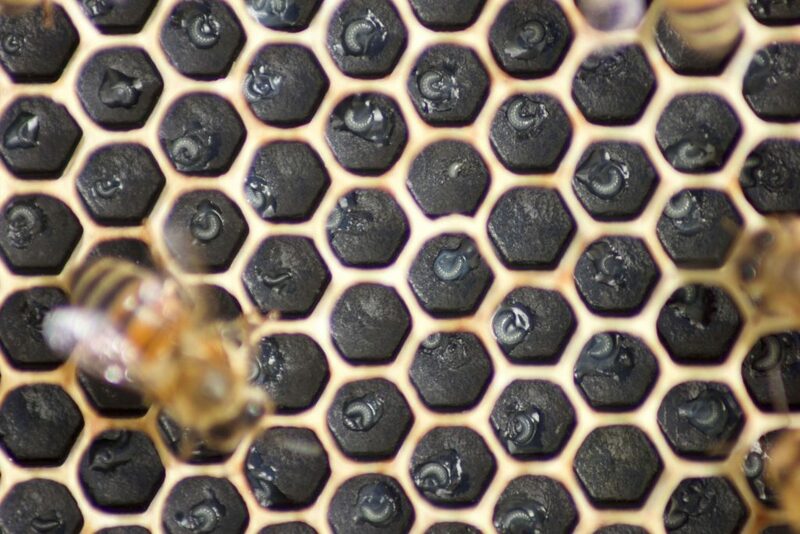 Packaged bees are essentially boxed bees and a queen without removable frames, whereas nucs are typically 4 frames of bees, a queen, and their brood. Nucs are a great starting point, but can be a bit more expensive. Either way, nucs or packaged bees are a great starting point. Research where to purchase colonies in your area! Beekeepers must have enough colony boxes and removable frames to provide honey bees space throughout the year. Boxes and frames come in different sizes, include deeps, mediums, and shallow. These sizes do not impact the colony, but are personal preferences by the beekeepers. The smaller the box, the lighter and easier they are to remove. Colonies must be provided with both a bottom board and cover in order to protect colonies from the outside predators and environmental stressors. Beekeepers must provide colonies food through a feeder. Feeders can be bought in all different types, but it is a necessity during the spring. Most beekeepers will need to treat colonies for varroa at some point during the year, so having a treatment on hand is important. Colonies must be monitored 4 months out of the year, and treated accordingly. In order to do so, beekeepers must buy or make mite monitoring equipment. During times of nutrient dearth, beekeepers must provides bees with both carbohydrate and protein supplements. These supplements can either be bought by distributors or handmade. 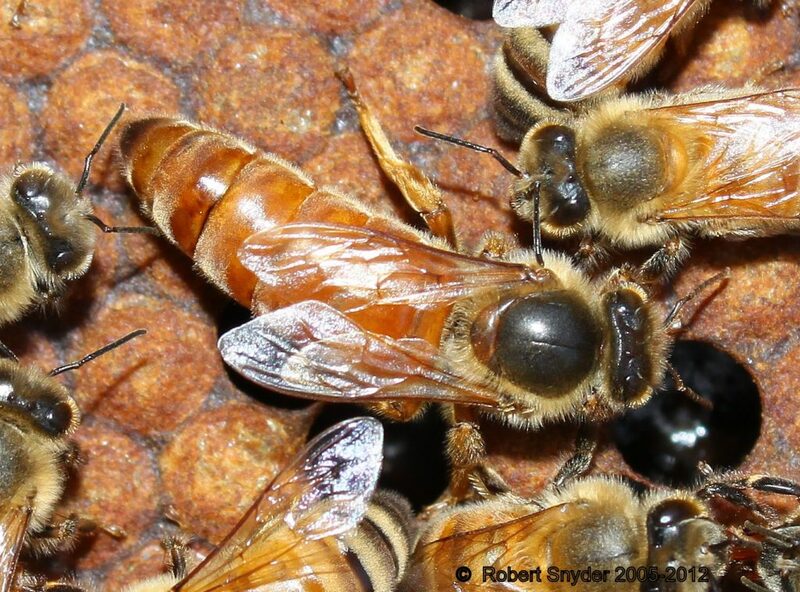 Honey bees have stingers that may cause allergic reactions. Bee stings can also hurt! So it is advised that new beekeepers wear bee suits. 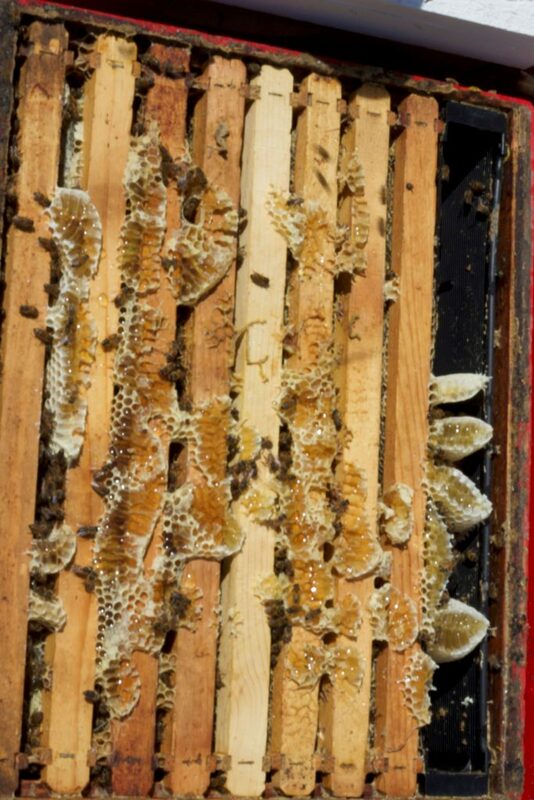 Beekeepers use hive tools to open and remove frames from the colony. While not a blatant necessity, you will find the hive tool to be very necessary. 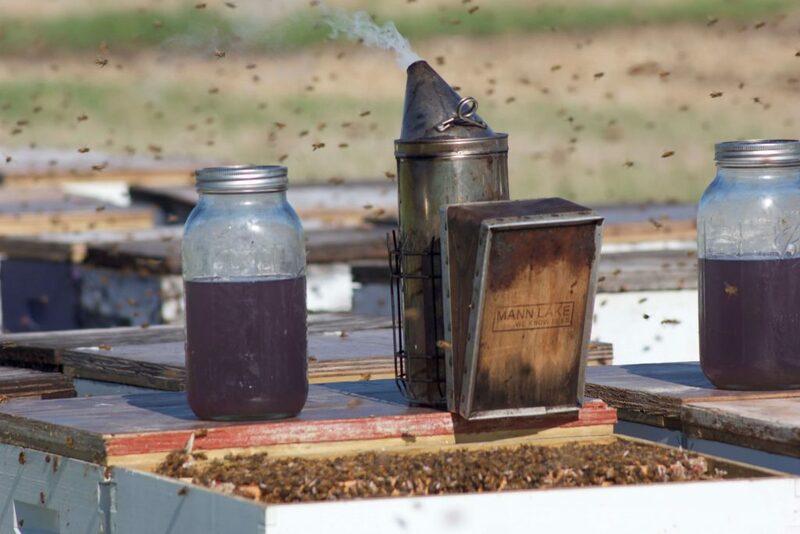 Beekeepers use smokers to reduce colony stress and disorder. All beekeepers NEED a smoker because proper management cannot be done without one. Smokers reduce stress, stinging, and making beekeeping more enjoyable! Most beekeepers maintain bees for honey, the sweet sugary treat produced by honey bees. However, honey is stored in comb and not easily removable. Because of this, honey extraction systems must be purchased. Honey extraction systems can be costly, so purchase one with other local beekeepers or use honey extraction systems from a local beekeeping club. Beekeepers, especially in the northern climates, need overwintering equipment. This equipment includes colony insulation, moisture wicking material, and an entrance reducer. This equipment is necessary for successful overwintering practices, the toughest year for bees in the northern climates. Beekeepers must provide bees a home where they are protected from predators, high winds, flooding, and other deleterious factors. Moreover, beekeepers must provide bees an area of high forage and water availability . Finding an ideal, permanent year round location is necessary but difficult task. But once found, honey bee colonies can thrive for years. Once a location is found and before colonies are placed, make sure local city ordinances allow honey bee colonies within city limits. Also, talk to neighbors about getting honey bee colonies. Even if you area allows honey bee colonies, make sure neighbors are okay with and aware of the honey bees. I outlined this as #5 on my characteristics of a successful beekeeping section. I wrote about my seasonal to-do list, however, beekeepers must figure out seasonal cycles in their region. I cannot write about each region, but new beekeepers should chat with local beekeepers about local honey flows, when foraging dearth occur, local management practices, etc. This information can often be found at local beekeeping clubs or by chatting with a mentor. Anyway, this information is necessary before bees arrive, especially if this Is your first year beekeeping. Beekeeping requires time, effort and work, which can be overwhelming at first. Simply prepare a monthly/seasonal to-do list to ease the learning curve, and have successful honey bee colonies! Colony with a lot of honey! Beekeeping is the love of my life (besides my wife), and the most enjoyable hobby I have ever taken up. 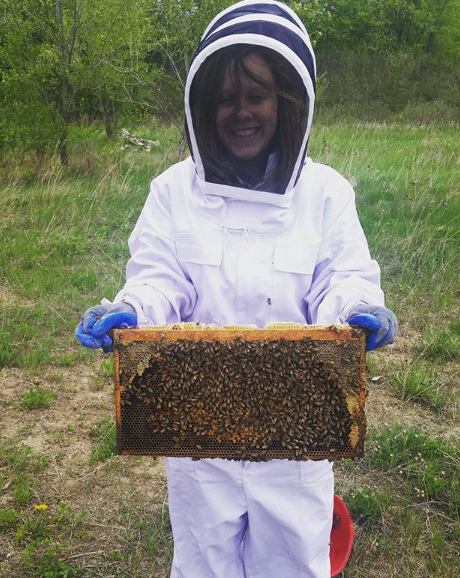 Beekeeping is a great hobby that provides honey, pollinates local plants, supports bees, informs neighbors and friends about the importance of beekeeping, and most importantly, beekeeping is a fun family affair. Believe me, beekeeping is worth a try! Do not let my writing discourage, but encourage you to begin beekeeping! My wife is a beekeeper in training! If you have questions, comments, or want more information about beekeeping, please email me at [email protected]. I have mentored many people as they begin a great and fulfilling hobby, and I am willing to help perspective beekeepers. For general information, ideas, and news about beekeeping, please visit my blog. @dailyguideto on twitter, The Daily Guide to Beekeeping group on facebook and @dailyguidetobeekeeping on Instagram.